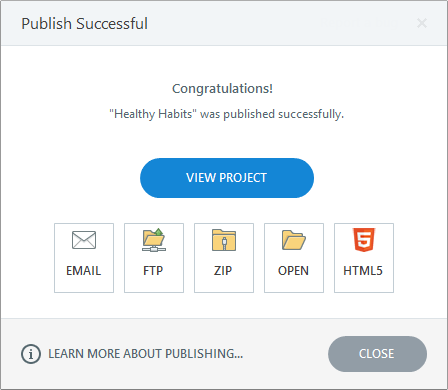 In this tutorial, we'll look at how to use Articulate Storyline's web publishing option to turn a standalone course into web-ready content. If learners use mobile devices with the Articulate Mobile Player app, you can add more project information by clicking the ellipsis button (...) next to the Title field, which opens the Project Info window. 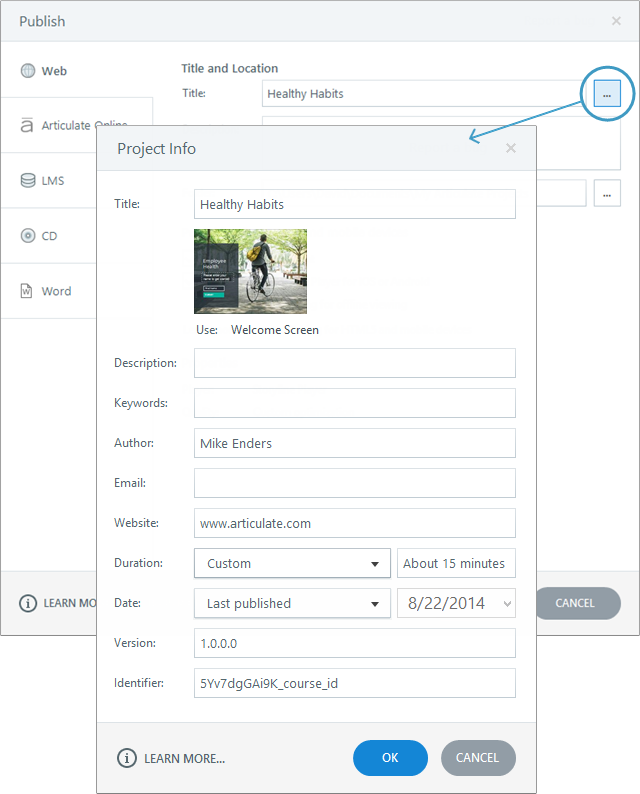 When you're finished customizing the project information, click OK to return to thePublish window. If learners will view content on a device that doesn't support Flash, use the following options to make your course viewable in HTML5, the Articulate Mobile Player app, or both. Use Articulate Mobile Player for iOS or Android: This prepares your course so learners have the best viewing experience on iPads and Android tablets, using Articulate's free mobile player app. Allow downloading for offline viewing: Mark this box to let learners download your course to their Articulate Mobile Player library. After downloading the course to their library, learners can view it at any time with or without Internet access, even if you remove the course from the web server where it’s hosted. A downloaded course will stay in the learner's library until it's deleted. For this reason, you might not want to mark this option if you don't want learners to be able to access the course indefinitely. View Project: This launches the published course in your web browser.Important: Since your files have been prepared for web deployment, you might encounter unexpected behavior when viewing the course from your local hard drive. It's always best to upload your published output to its final destination and test it there. Email: This opens a new email message with a zipped file of your published output attached. This might be helpful if you need to share your course with a subject matter expert (SME) or if you need to send it to your web server administrator to be deployed. 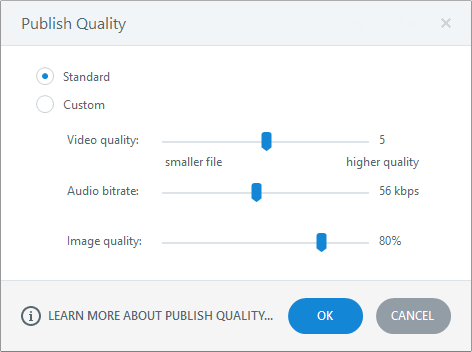 If your audience is larger than just a few people, it's better to move your files to a web server, then send your audience the link to the story.html file (which is the file that launches the course). FTP: This opens a window where you can enter your FTP credentials and transfer your output to a web server. Zip: This creates a zipped file of your output in the location you specified on thePublish window. HTML5: This launches the HTML5 version of the published output in your default web browser. Important: Since your files have been prepared for web deployment, you might encounter unexpected behavior when viewing the course from your local hard drive. It's always best to upload your published output to its final destination and test it there. Also, be sure you're using a supported HTML5 browser. Now that you've published, it's time to move your web-ready course to a website or server, give it a test run, and send learners a link to the story.html file for viewing. When learners launch the story.html file, they'll see the right type of content based on the device and browser being used. Learners will see the Flash version of your course if their browser supports it. 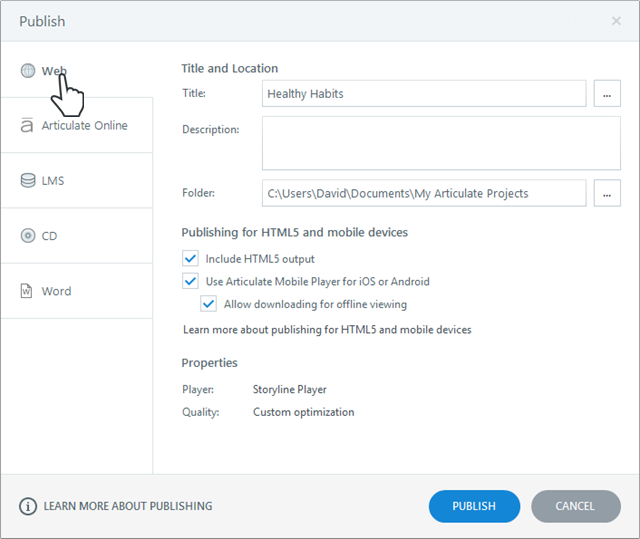 If learners are using iPads or Android tablets and you didn't select the Articulate Mobile Player option when you published, but you did select HTML5, the HTML5 output will launch in their mobile browser.